Pastor James Bond is a graduate of Oklahoma Baptist University. 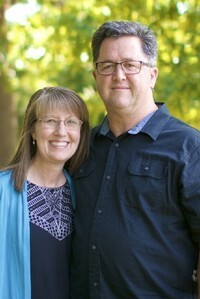 He met his wife Leann at OBU in 1980 and they have 5 children and 8 grandchildren. Their daughters Anna and Molly are students at Stroud High School and part of FBC Stroud. Bro. James is active in the Stroud community serving alongside the Stroud Lions Club, Stroud Ministerial Alliance, and teaching weekly at our assisting living and nursing care centers. His two passions include collecting antique theology books and fishing.